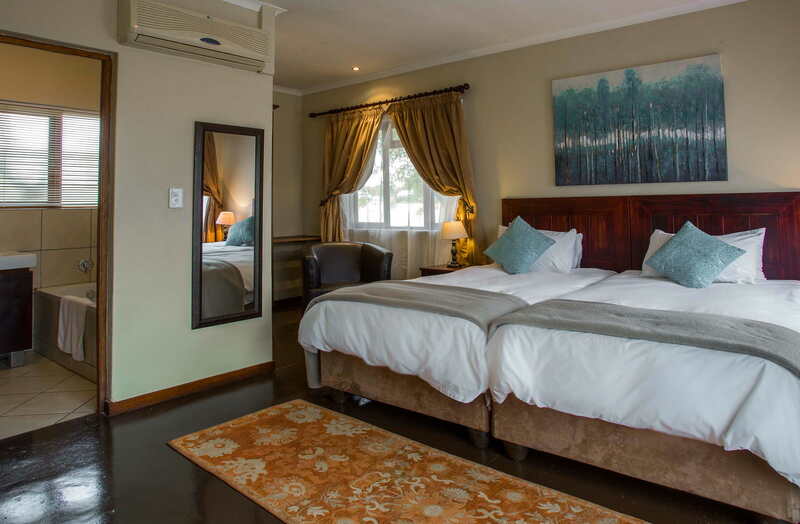 Nestling within the natural beauty of the River Valley Estate are our 16 Deluxe Rooms and 3 Stone-clad Suites, offering comfort and luxury with a sense of timeless tranquility. Warm colors and versatile textures ensure authentic country style. 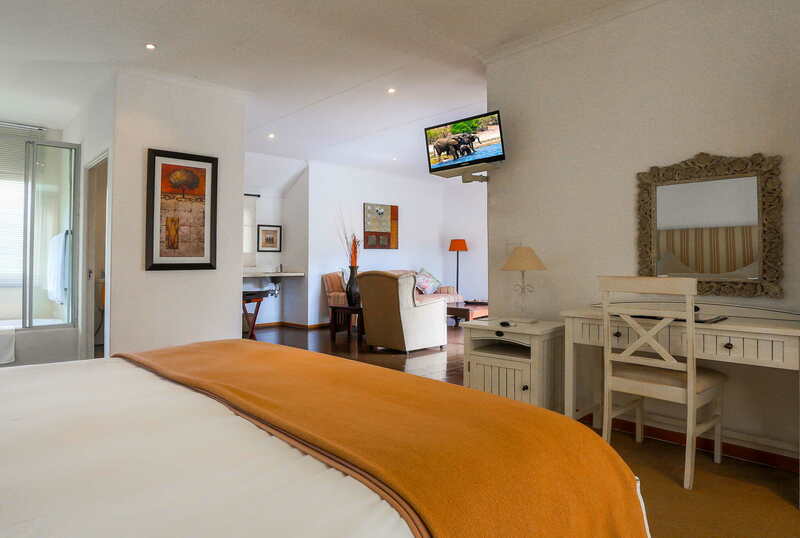 Each room has twin beds with an en-suite bathroom (including bath and shower facilities), private patio, DSTV and work station. 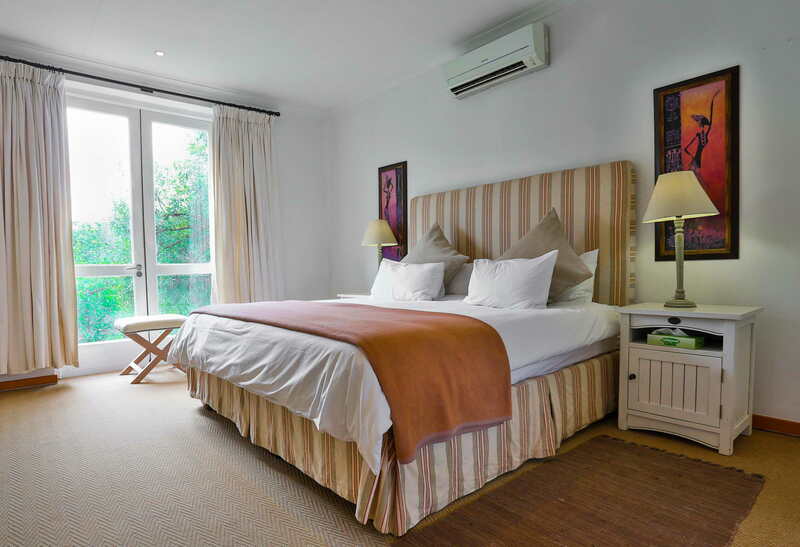 For a more luxurious option, our Stone Clad Suites feature extra-length, king-sized beds and an adjoining lounge area. 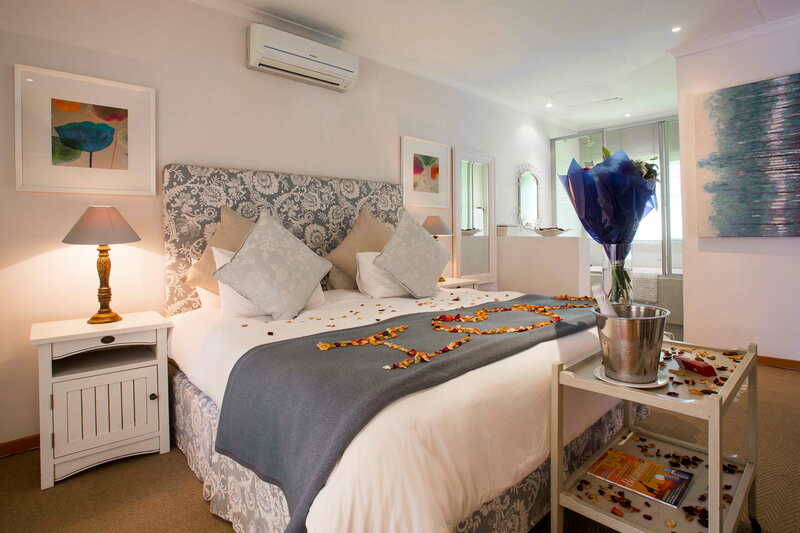 Our Honeymoon Suite, appointed with soft hues and sensual decor, is designed with romance in mind. 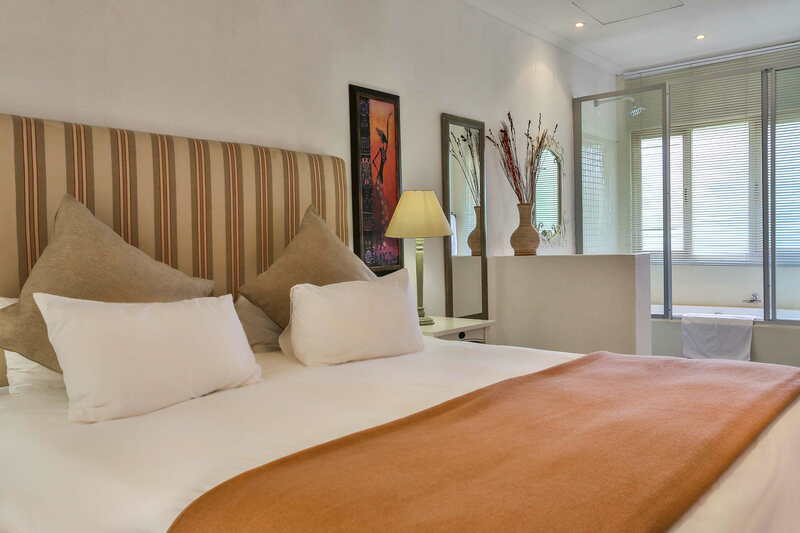 Our Stone-clad suites offer comfort and luxury with a sense of timeless tranquility. 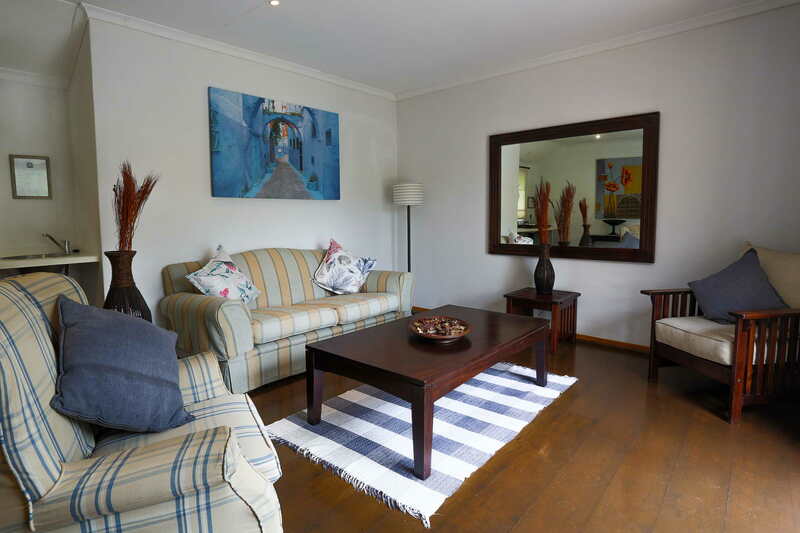 Overlooking the river and include extra-length, king-sized beds and an adjoining lounge area. Warm colors and versatile textures ensure authentic country style. 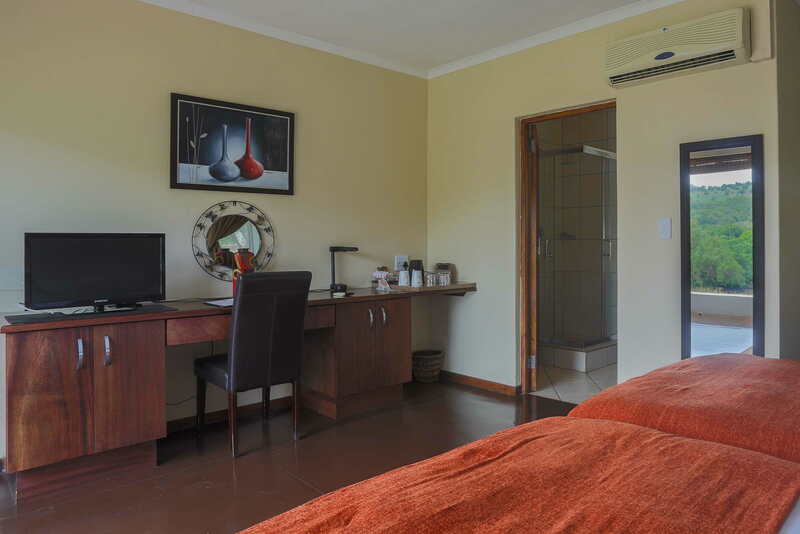 Each.room has twin beds with an en-suite bathroom (including bath and shower facilities), private patio, DSTV and work station.